Eighty-six-year old Gordie Howe went home to Saskatoon. That was more recent, but still a week ago; the occasion was the Kinsmen Sports Celebrity Dinner. “Howe had a stroke late last year,” noted Saskatoon’s Star-Phoenix, “but has shown signs of improvement following a stem cell procedure in Mexico in December.” Everybody was thrilled to see him. Bobby Hull was on hand, too, and his son, Brett. Wayne Gretzky was the keynote speaker. 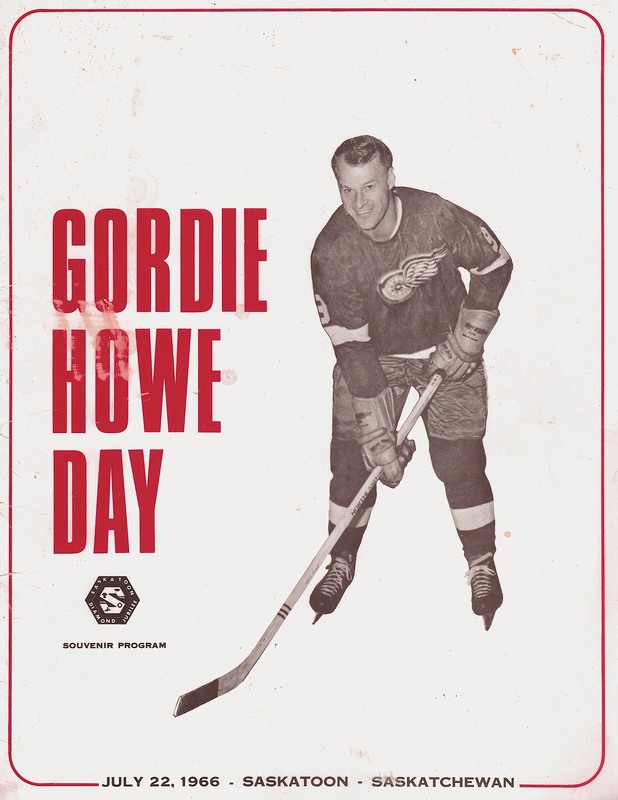 “There’s nothing that you can’t not say good about Gordie Howe,” was one of the things Gretzky said. Could he have originated anywhere else? No. It is impossible, however, to imagine Howe emerging from anywhere but the Prairies. His tough, Depression-era upbringing shaped Howe into the resilient man who remains one of Canada’s great heroes. 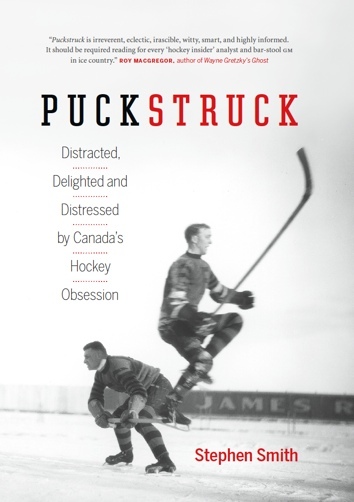 He skated out of those humble beginnings in Saskatoon and onto rough-and-tumble NHL arenas, throwing elbows and firing pucks, the shy prairie kid making himself impossible to ignore. He has an office, lined with hockey memorabilia and the sun-baked skulls of some of the animals he has killed — an African lion, a leopard, some bears and deer — but today he’s working in the kitchen. He carries his hometown with him wherever he goes. Howe hasn’t lived here in a long time, but he’s Saskatoon through and through. Our story begins with a goal … to bring NHL® hockey to Las Vegas. And Las Vegas is ready — ready for the energy, excitement and thrill that only NHL® hockey can deliver. We’ve done the research, polled the community and rallied our local businesses. ALL are eager to support an NHL® team. Las Vegas is ready to join the elite list of “NHL® Cities”. Hockey is an excellent motivator for our youth, teaching the value of team skills, hard work and determination. If we are able to secure a team in Las Vegas, we are committed to supporting youth hockey in Las Vegas through the development of youth hockey rinks, programs and other activities. I play goal one night a week, likely as penance for some murderous sin I committed in another lifetime. I’ve come to enjoy being hit, but one of the other small pleasures of the crease is when everything swooshes away and you’re left naked in the zone, the rest of the players having gathered up ice, leaving you like an abandoned party guest. It’s during these instances that I ponder mortality, taxes, and whether I’ve left the oven on at home. 4) friends who are hunters and eat venison and duck. Just the same, as I have no problem, with people who hunt seals and seal meat. 5) I do however find it very unusual, in my world, that a person would go into a restaurant and order a seal burger for lunch. 7) and eat their meat. Again, I do this explanation because I want to. I have hurt some people’s feelings that I like and admire. 8) If this explanation isn’t good enough, then let the cards fall where they may. Larry Brooks from The New York Post wrote about Martin St. Louis from the Rangers. “I’m not playing with a lot of confidence right now,” St. Louis said. “I’ve gone through stretches like this before, and it’s not a fun place to be, but fortunately the team is winning. Evander Kane wore a tracksuit when he should have been wearing a suit and that’s when he fell out of favour in Winnipeg, and the coach suspended him, followed by a teammate tossed his track suit into a shower, whereupon Kane, in a snit, decided to get shoulder surgery. Then he was traded. “Really excited to start a new chapter with the Buffalo Sabres!” he tweeted. For a Canadiens player, to succeed in this city is to be embraced with a kind of love that borders on suffocation. The fans’ embrace may have tightened a little the following night, when Weise picked up a goal and an assist in a 3-1 win against the Bruins in Boston. R.I.P. Steve Montador. Sad to hear, great person and a great teammate.